A road-rage driver knocked a motorcyclist off his bike after a dispute at a newsagent’s shop. Derby Crown Court recently heard how motorist Stephen Willsher and the motorcyclist had been involved in an altercation over a wallet in a newsagent’s. Pictured is Stepen Willsher, 63, of of Jubilee Court, Belper, who pleaded guilty to dangerous driving and has been sentenced to three-months of custody suspended for a year. Picture courtesy of the Derby Telegraph. The 63-year-old defendant set off in his MG sports car followed by the biker who claimed Willsher deliberately braked so he pulled alongside Willsher’s car and started swearing. Willsher subsequently steered into the motorcycle’s path causing the biker to fall and be “dragged across the carriageway” after the incident on Far Laund, in Belper. Judge Jonathan Bennett told Willsher that he must have been very angry because of the earlier altercation with the rider in a newsagent’s and that carried on into the street. He said: “You responded by pulling right across the carriageway. “He was knocked down and dragged across the carriageway by you. “An independent witness checked that the motorcyclist was all right because he though at first he could have been killed. Lucy Jones, prosecuting, said following the argument over a wallet in the newsagent’s, Willsher left and started to drive off and was then pursued by the motorcyclist. The rider swore at him and said he would smash his head in, according to Ms Jones. 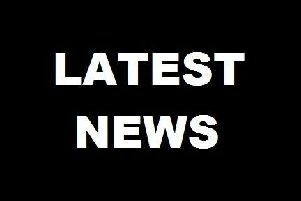 Willsher, of Jubilee Court, Belper, pleaded guilty to dangerous driving after the incident on March 13. Nicholas Burn, mitigating, said Willsher was a quiet, gentleman who lives a quiet life and that the incident was out of character. Mr Burn added: “Immediately after it happened the witness overheard the defendant say ‘I can’t believe I have done something like this’. “There was a high degree of provocation towards Mr Willsher by the rider and although he suffered injuries they were thankfully minor. Judge Bennett sentenced Willsher to three-months of custody suspended for a year with 60 hours of unpaid work. He was also ordered to pay a £1,000 fine, £340 costs and a £115 victim surcharge and was banned from driving for one year.